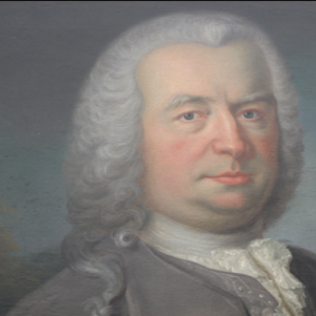 Östads Foundation was founded in 1774 through a donation by the director of the East India Company, Niclas Sahlgren. Sahlgren had purchased Östads manor with the intention of founding an orphanage activities that would “save poor parents’ children from misery and destruction and by educatiion make them loyal workers in agriculture”. The orphanage lasted until 1945 and in the years 1774 to 1945 a total of 1628 children got their upbringing and education at Östads Manor. Between 1945 and 1987 various forest educational activities was held at Östad. From the late 1950s to mid-1960s some 20 foresters per year was educated. Later, from 1966 to 1987 the county’s forestry school was located at Östads Manor. In year 1988 the Foundation and the swedish University of Agricultural Sciences (SLU) had an agreement where the operations were concentrated to education and experimentation in agriculture and forestry. The new purpose meant that education activities increasing while previous activity was reduced. Today Östads manor has student from SLU, Gothenburg University, Linné-University and Dalarna University. Annually some 30 courses are held at Östad. The foundation are supporting the courses with around 1 million per year. In addition, the foundation are offering some 35 beds for overnight stay plus classroom. The Foundation owns an area of totally 5,000 hectares of which 4,000 hectares of forest. Of the former tenant farms some 60 residential buildings remains and are rented publically. A gravel and rock quarry is conducted in-house in Brobacka. The turnover of the foundation is approximately SEK 35 million per year. Board of directors The Foundation is managed by a board consisting of three members and two alternate members. Besides the managing director there are also members appointed by “Kungl. Maj:ts orden” and by the county administrative board. The chairman of the board are also the managing director who also the one responsible for the daily business. The board also consists of earlier Court of Appeal president Gunnel Wennberg and Fredrik Waern, Vänersnäs. Also Gustaf Ekman, Årnäs and Carl Silfverschiöld, Koberg are the two alternate members. The managing director has for 8 generations been from the family Alströmer. Director today is Thore Alströmer. The Foundation currently has 5 employees.